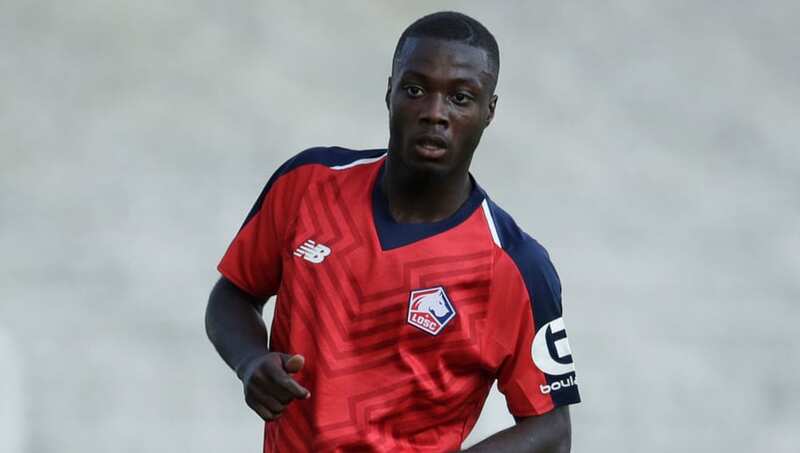 ​Manchester United and Barcelona are both reportedly monitoring Lille winger Nicolas Pepe and appear to be the latest in a long list of clubs linked with a move for the Ivory Coast international. Earlier this month, French outlet Telefoot named Arsenal, claiming that the Gunners are keeping a close eye on Pepe and view him as a winter target. The same report also stated that Borussia Dortmund, Schalke and Sevilla have already made offers, as have Real Sociedad (€20m) and Lyon (€30m). Now, a fresh rumour also being credited to Telefoot alleges that United have sent scouts to watch the 23-year-old in action. Elsewhere, Mundo Deportivo carries a story claiming that Pepe is 'very, very interesting' to Camp Nou director Eric Abidal, also noting that ex-Barcelona vice-president Marc Ingla is currently director general at Lille, which could give the Catalans a possible route in. Formerly of Angers, French-born Pepe joined Lille last summer and scored 13 Ligue 1 goals in a team that was almost relegated, managing a further five assists. He's taken another huge leap forward so far this season and already scored four goals in only five Ligue 1 games from his position wide on the right - that includes a hat-trick against Amiens in his last outing. Pepe has also provided three assists during that time. His combined tally of seven goals and assists have helped propel Lille to third in the Ligue 1 standings, while the players himself has directly contributed to more goals than Neymar, Kylian Mbappe, Dimitri Payet and Florian Thauvin.